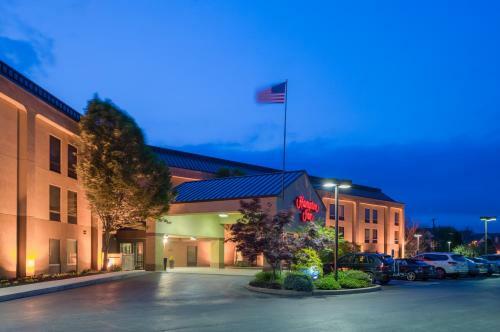 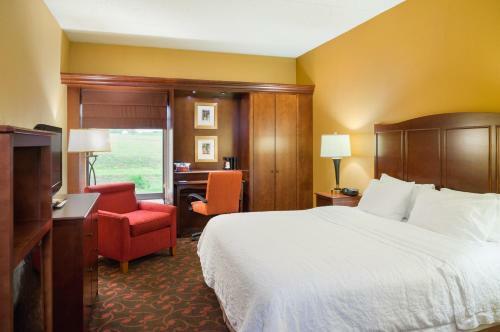 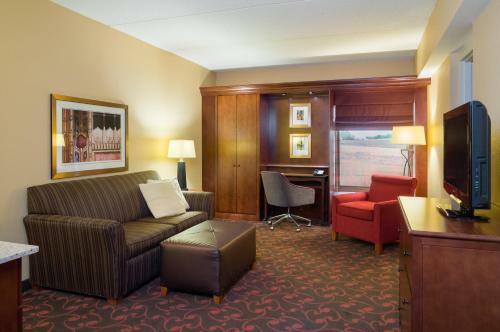 This hotel is a 5-minute drive to historic downtown Carlisle and the Carlisle Barracks. 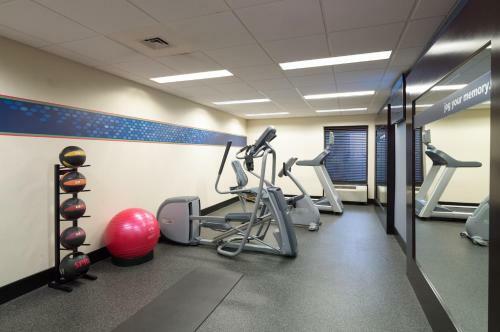 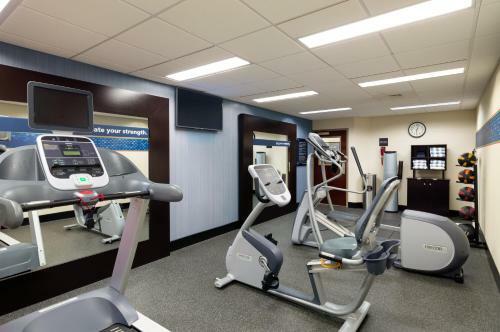 The hotel features an indoor pool, jogging track and a refrigerator and microwave in every room. 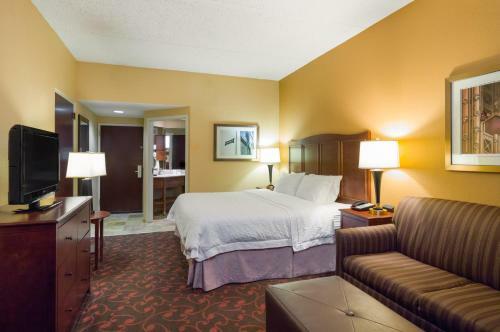 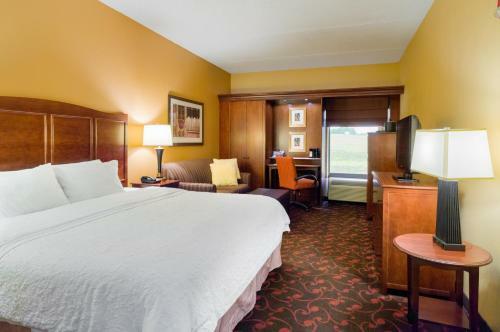 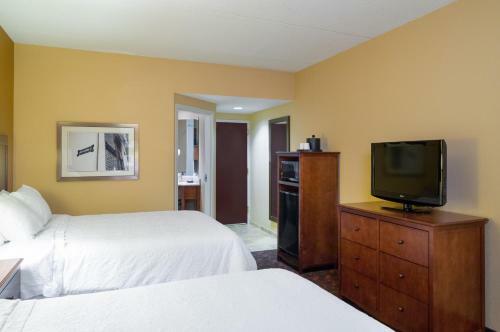 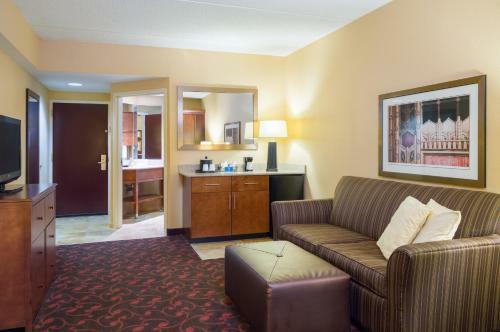 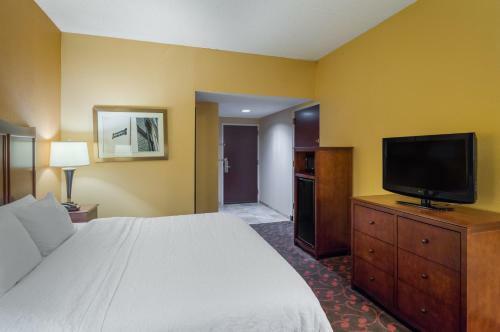 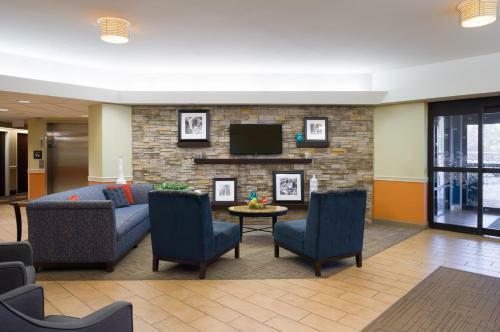 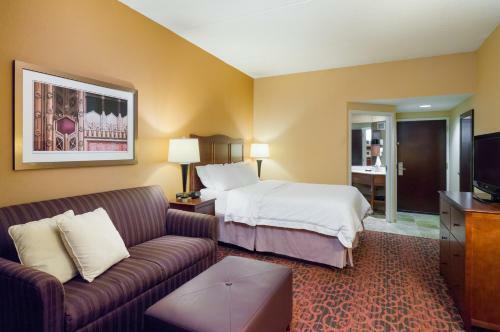 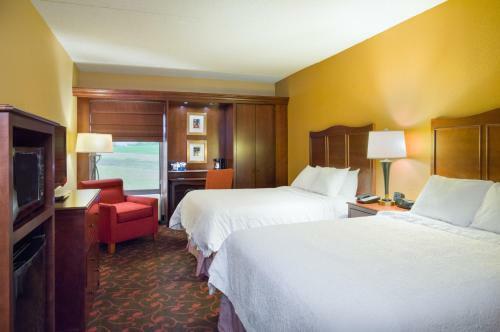 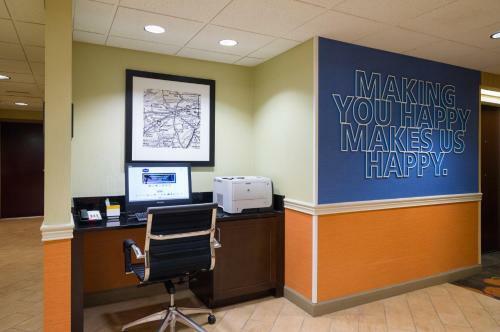 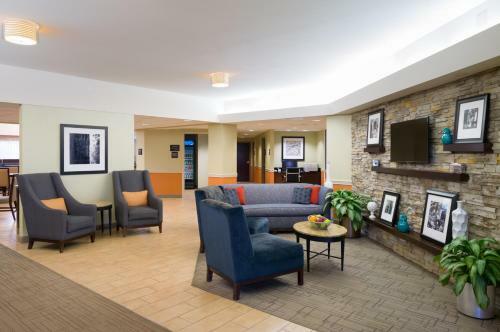 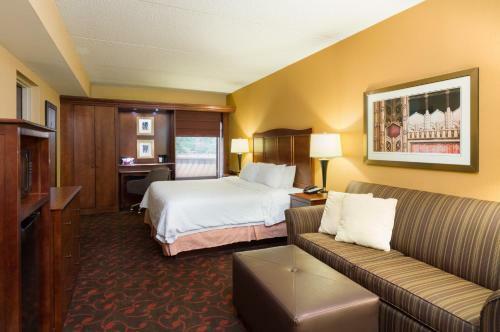 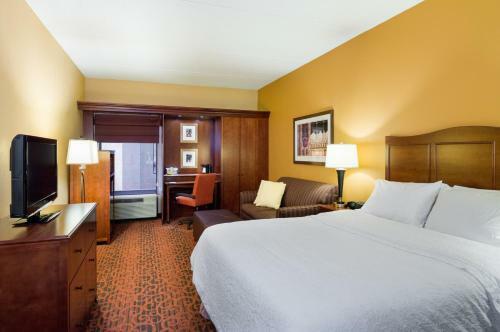 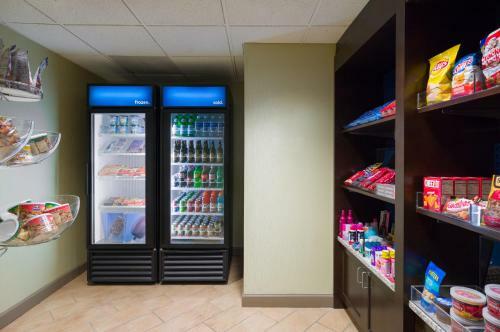 Rooms at the Hampton Inn Carlisle are equipped with a 27-inch flat-screen TV with in-room movies and free Wi-Fi. 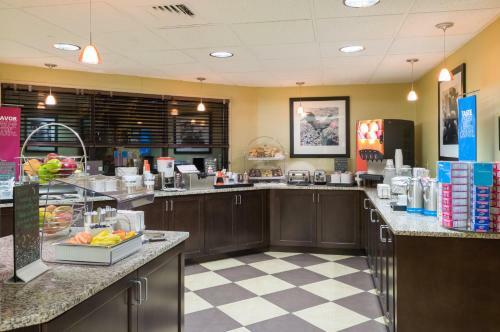 A coffee maker and free weekday newspaper are also provided. 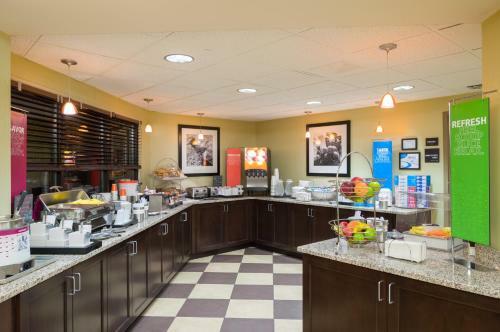 Guests at the hotel are offered a hot buffet breakfast every morning. 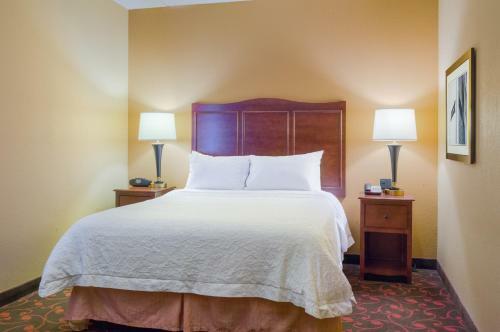 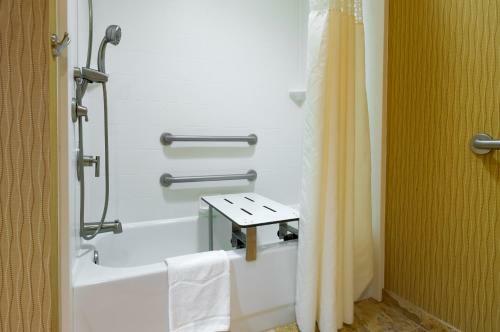 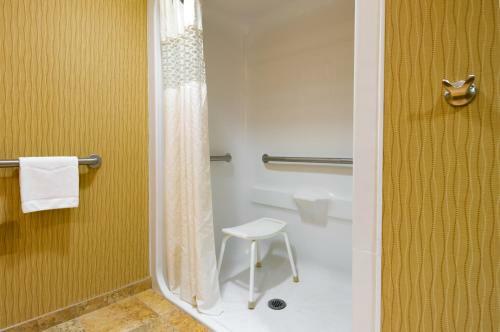 Laundry facilities and a business center are available on site. 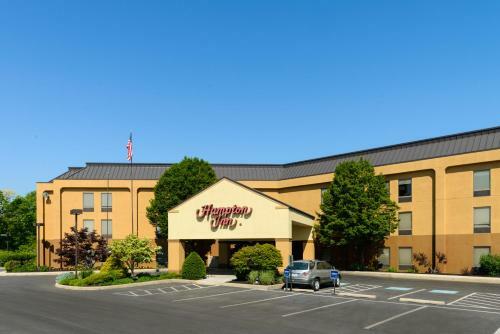 Downtown Harrisburg is a 20-minute drive from the Carlisle Hampton Inn and Hershey, Pennsylvania is only 30 minutes away. 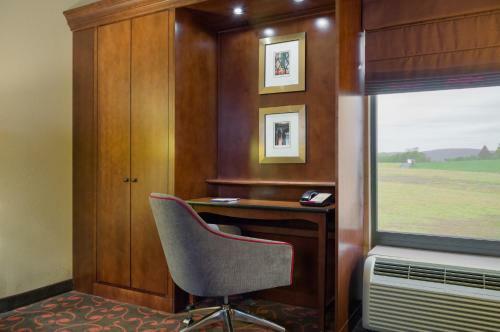 The US Army War College and the Carlisle Exposition Center are within a 10-minute drive from the hotel. 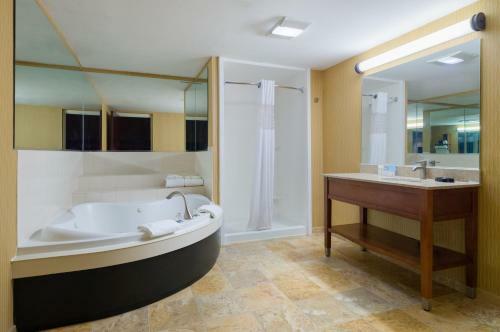 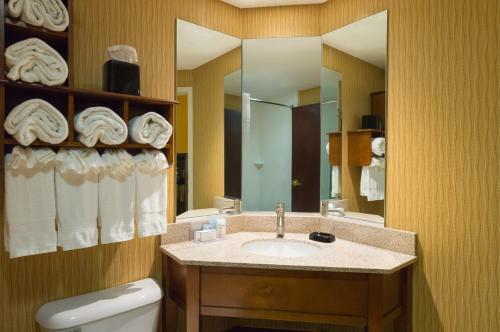 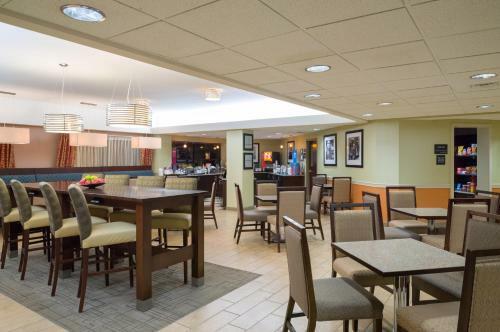 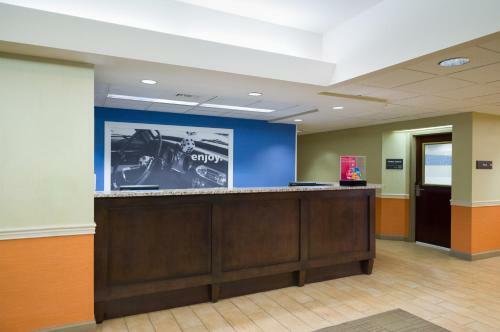 the hotel Hampton Inn Carlisle so we can give you detailed rates for the rooms in the desired period.